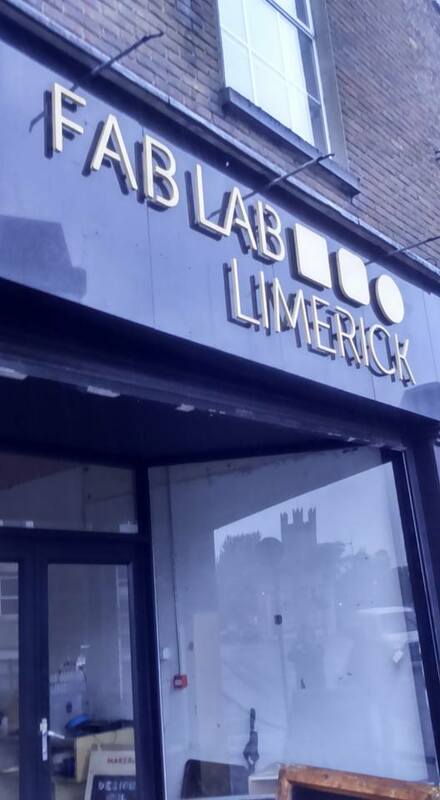 The Love Letters Exhibition of international sign painters Tom Collins and Sean Starr has ended in The Fab Lab on Patrick St Limerick. 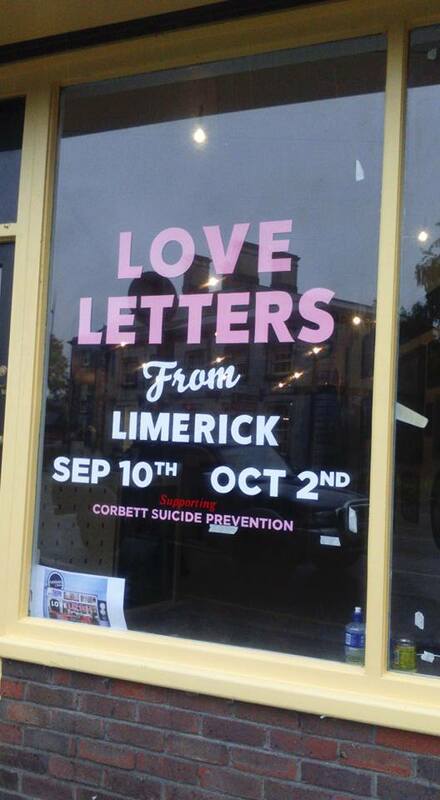 Starr who is a famed Sign Painter from Texas in the US travelled to Limerick in September to participate in Love Letters an exhibition as part of the Elemental Arts Festival in Limerick and the 061 Exhibition in Limerick. The signs on display at The Fab Lab are going up for auction to raise money for local charity Corbett Suicide Prevention on October 1st next at The Fab Lab at 8pm. 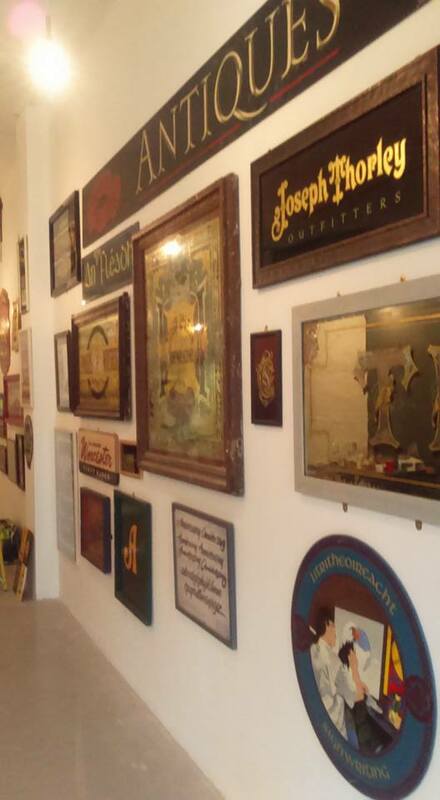 Various internationally reknowned Sign Painters joined local Sign painter Tom Collins to work on a project which is a wooden sign now attached to the Brown Thomas Building in Limerick City Centre. This piece of public art was created by the group as a part of the Elemental Arts Festival in Limerick.